“Lazarice” was initially formed in 2005 as an ethno music group only for the purpose of school performances, and at the beginning all initiatives came from students themselves. However, as early as 2006, the group had significantly expanded and became the Lazarice Choir, oriented towards four-voice choral singing and a capella music. 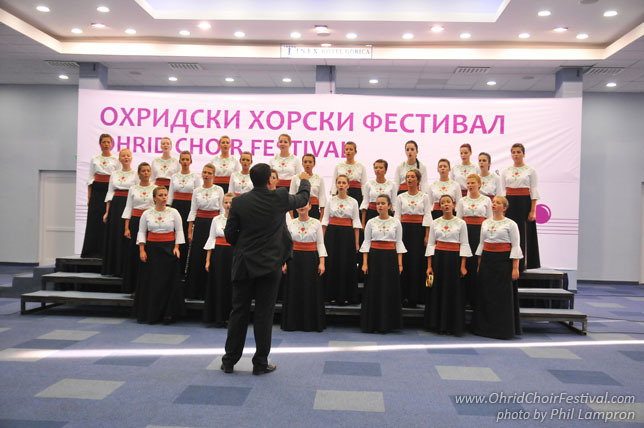 For the last five years, “Lazarice” has achieved considerable successes: four first prizes at the state competition of high school choirs in Novi Sad, silver medal in Bratislava (Slovakia cantat, 2008), and two gold medals in Venice (Venezia in musica, 2009). 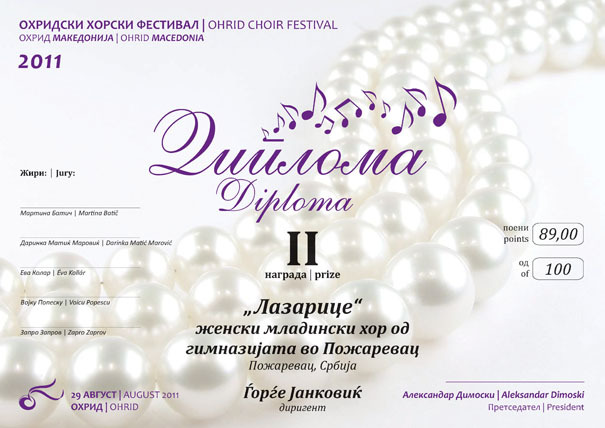 The Choir has made recordings for Radio Belgrade, performed on Radio Television of Serbia and received the Požarevac City Charter twice. Surprisingly, it is made up of only high school girls with little musical education. 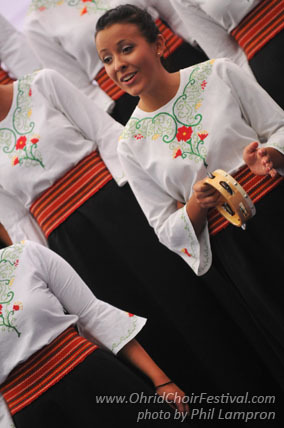 While traditional folk songs (of Serbian, Balkan and Slavic origin) — performed in the original form or in the choral arrangements — comprise most of the Choir’s repertoire, the Choir is noted for its emphasis on similar secular compositions (Rukoveti of Mokranjac and contemporary works with folk motifs). But the folk orientation does not hamper the Choir to develop a rich repertoire of genres (spiritual music, modern choral pieces, arrangements of pop songs…). 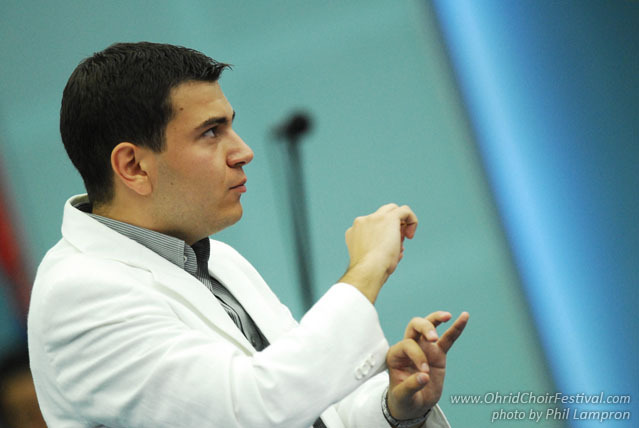 “Lazarice” has been conducted, from his high school days, by Đorđe Janković, now a postgraduate and a Serbian language teacher.